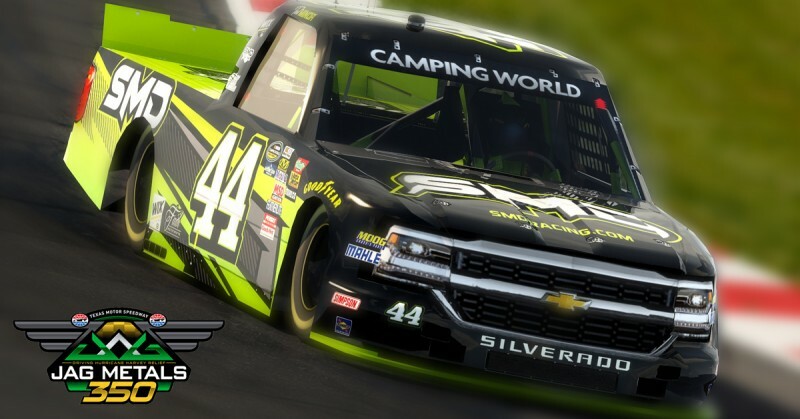 SOUTH CAROLINA: (October 13, 2017) – Faith Motorsports (FMS) announced today that North Texas native Ted Minor will pilot the #44 SMD Chevrolet Silverado in the Camping World Truck Series race at Texas Motor Speedway on November 3rd. 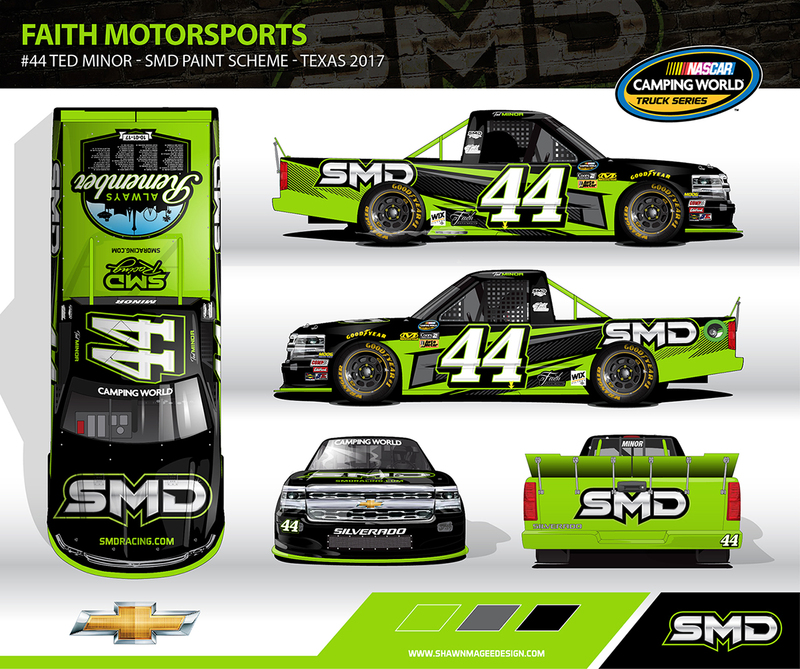 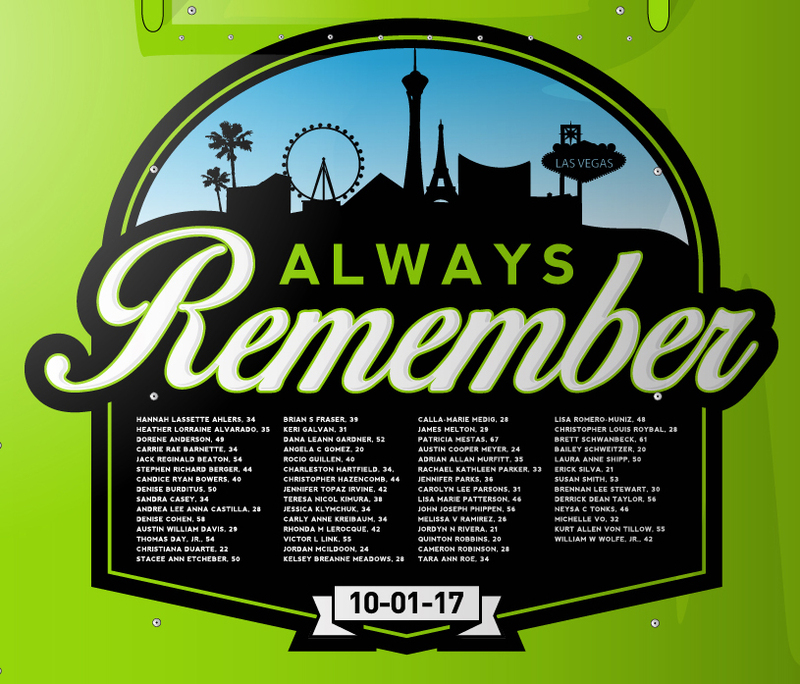 Shawn Magee Design (SMD), a North Canton, Ohio design firm and official graphics partner of Faith Motorsports, will serve as the primary sponsor in the JAGS Metals/Driving Hurricane Harvey Relief 350 in Fort Worth,Texas. 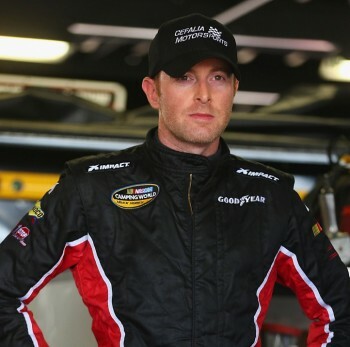 “I’m excited for the opportunity to drive the #44 SMD Silverado in my home state of Texas,” said Minor. 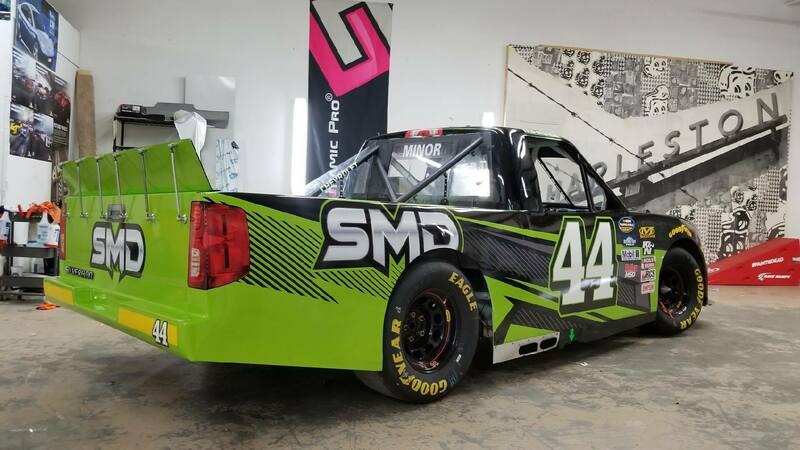 Faith Motorsports owns and operates a 2 truck team (#44 & #62). 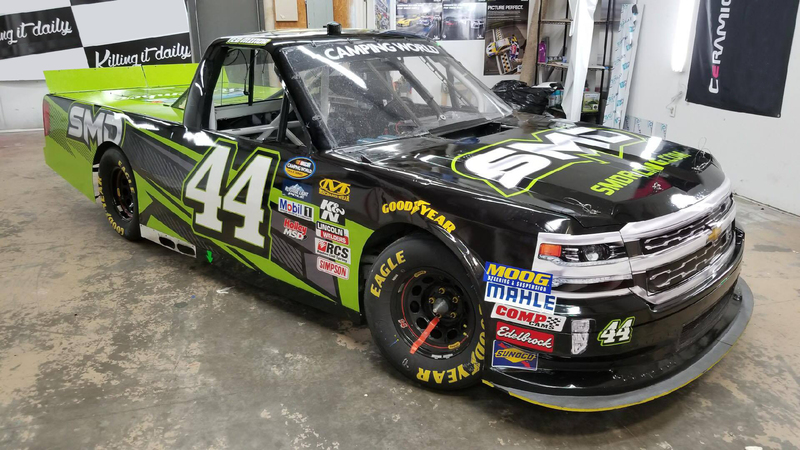 Through a partnership with Martin’s Motorsports, the #44 is piloted by fellow Texas native, Austin Wayne Self for most of the 2017 season.